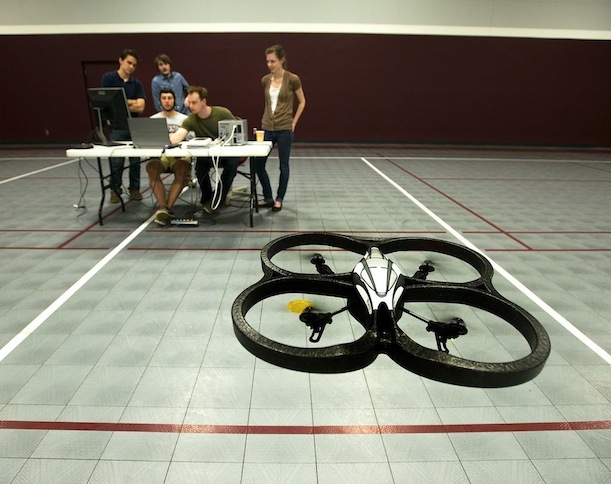 Students from the American university of Minnesota developed a method of control over small helicopter by force of thought — technology of transformation of electric impulses of a brain directly to operating signals, and as a result the helicopter by force of thought flied not much worse, than with traditional manual management. 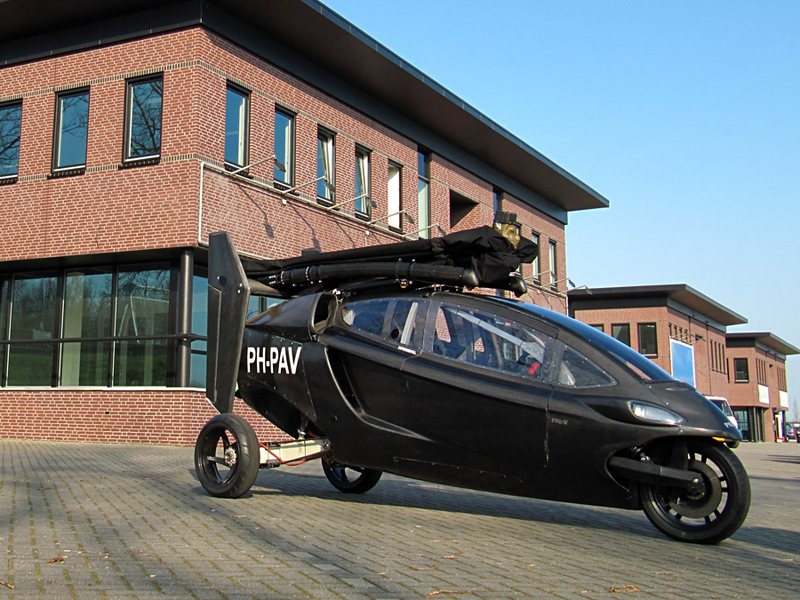 In experiment participated five people each of which learned to operate successfully the helicopter without hands. For force of thought it was used an electroencephalograph. On it arrive impulses from 64 electrodes on the special hat, fixing electric activity of the head skin, connected with various zones of a brain. Thalmic Labs company presented an innovative bracelet MYO in Barcelona. With this bracelet it is possible to control different electronic devices. This MYO device allows to operate the equipments by gestures, particularly, the user can operate the music or video in computer, supervise the flight of toy helicopter etc. Thalmic Labs company presented an innovative bracelet in Barcelona. With this bracelet it is possible to control different electronic devices. This MYO device allows to operate the equipments by gestures, particularly, the user can operate the music or video in computer, supervise the flight of toy helicopter etc. According to UK Ministry of Defense British Forces in Afghanistan received miniature spy drone, 16 gram helicopter Black Hornet Nano up to 10 centimeters in length and two and a half in width. Black Hornet Nano is equipped with a miniature camera that can transmit both video and photos. Despite its compact size Black Hornet Nano is capable of operating in critical weather conditions. According to BBC News, the device is equipped with a battery and can cover up to 800 feet in the air or up to 30 minutes. As reported BBC News, in the total of the British military Department has ordered 160 Black Hornet Nano to 20 million pounds sterling (31,5 million dollars). Using the helicopters in Afghanistan began in 2012. 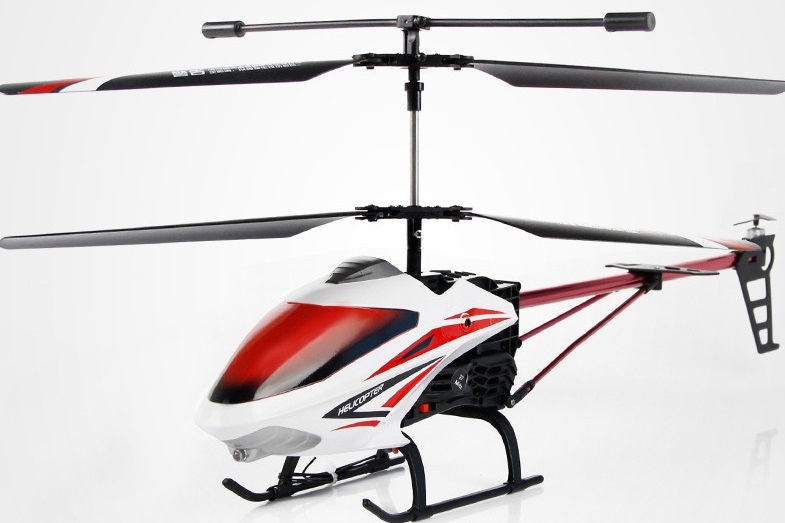 Force Flyer is an helicopters that controlled with hand movement. 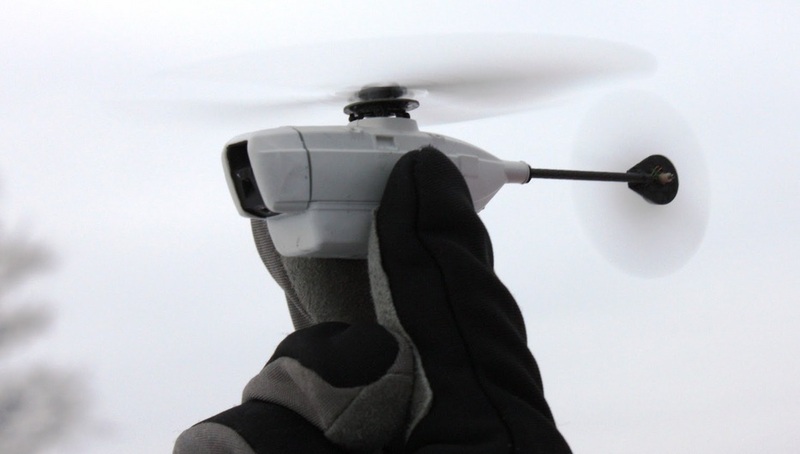 When you turn your hand in either direction, it will inform the helicopter to turn in that same direction, thanks to the glove’s built-in accelerometer which is not too far off from the functionality of the the accelerometer in a Wiimote. You can power up this crash-resilient helicopter via USB, where 20 minutes of charging time gives you half the amount of flight time. Force Flyers will be hitting store shelves in May. The smaller, indoor version of the Force Flyer will retail for $50, the larger, outdoor version will retail $100.For more information watch video below.